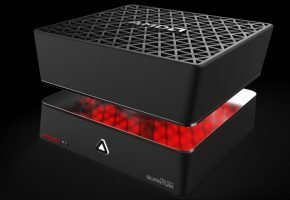 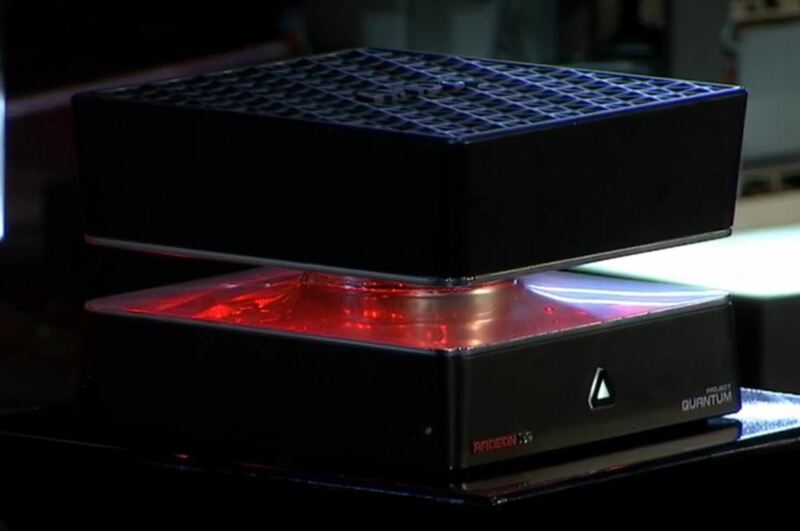 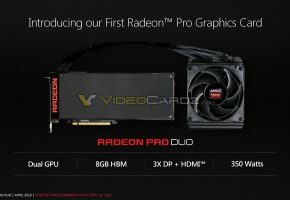 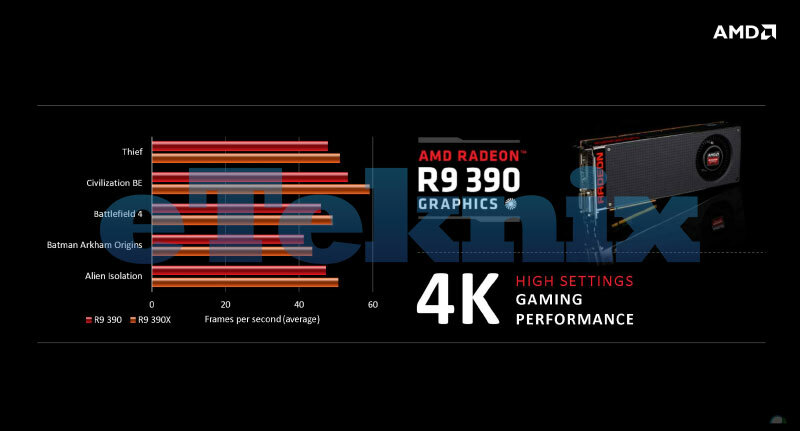 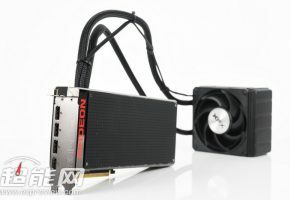 AMD officially launches Radeon 300 series graphics cards. 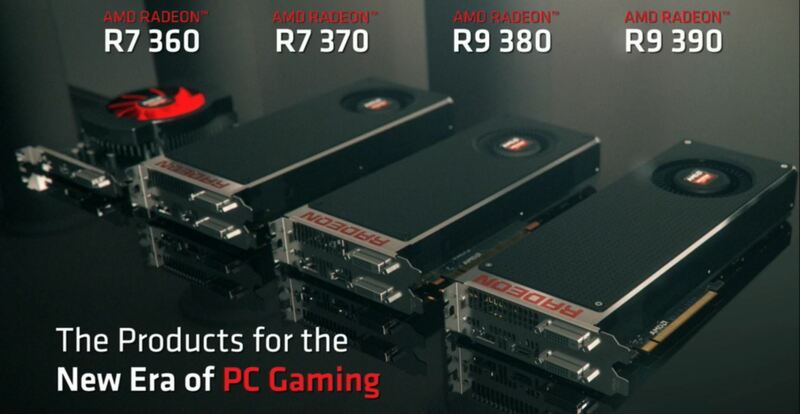 All graphics cards except Radeon R9 Fury are based on already known graphics processors. 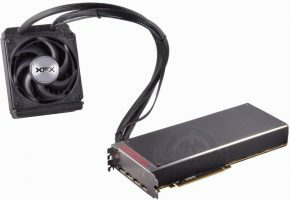 The most powerful model based on FijiXT is believed to be called Radeon R9 Fury X, which is the first graphics processor ever to utilize High-Bandwidth-Memory (HBM). 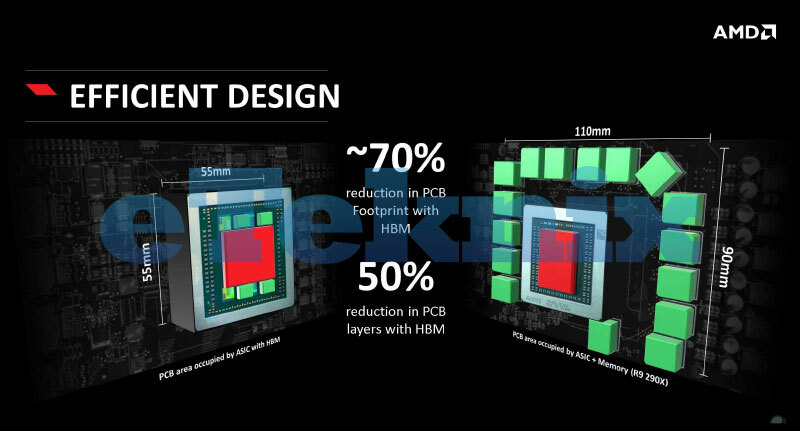 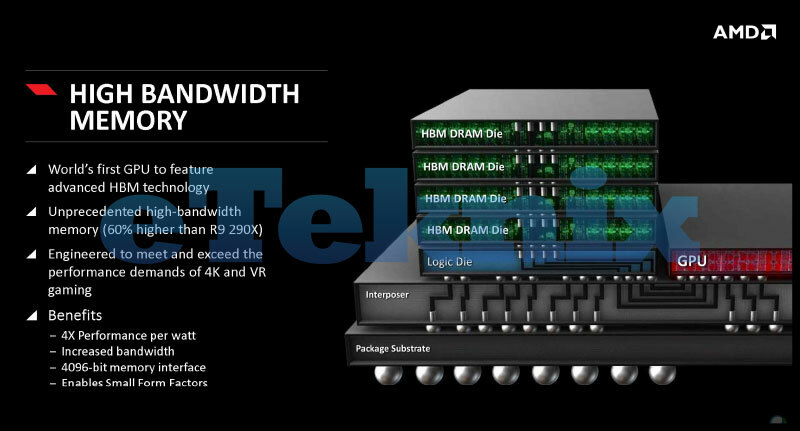 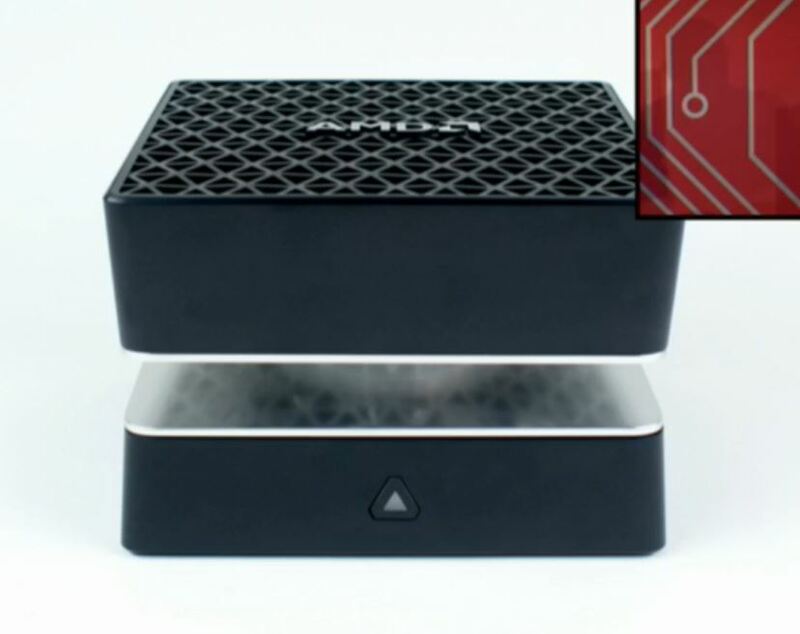 This is the first generation HBM, which means the capacity is limited to 1GB per stack. 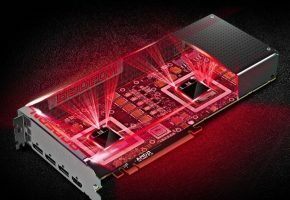 AMD chose to equip Radeon Fury with 4 stacks, so for now we are only going to see Fiji-based cards with 4GB frame buffer. 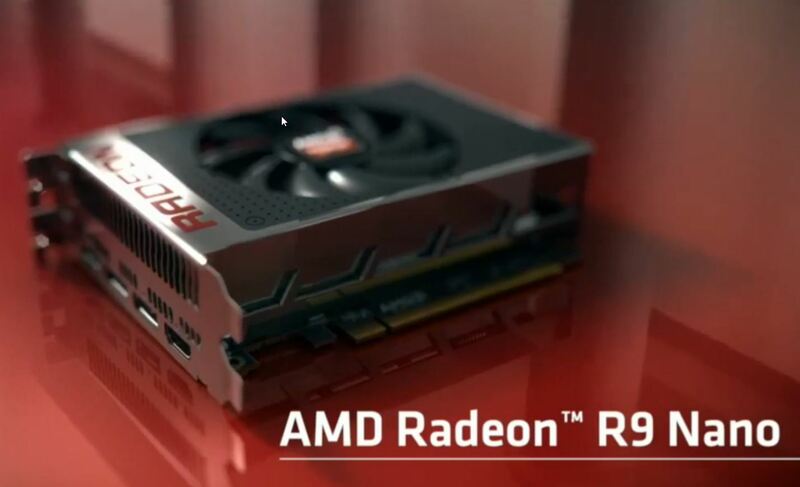 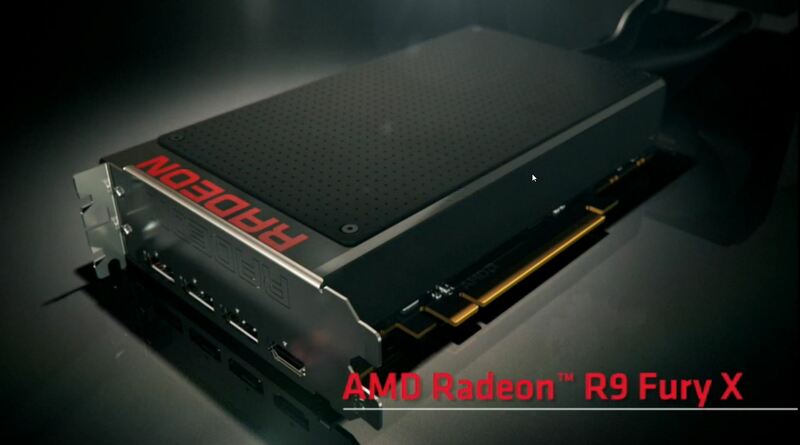 According to PCGamesHardware AMD Radeon R9 Fury X will cost $649 USD. 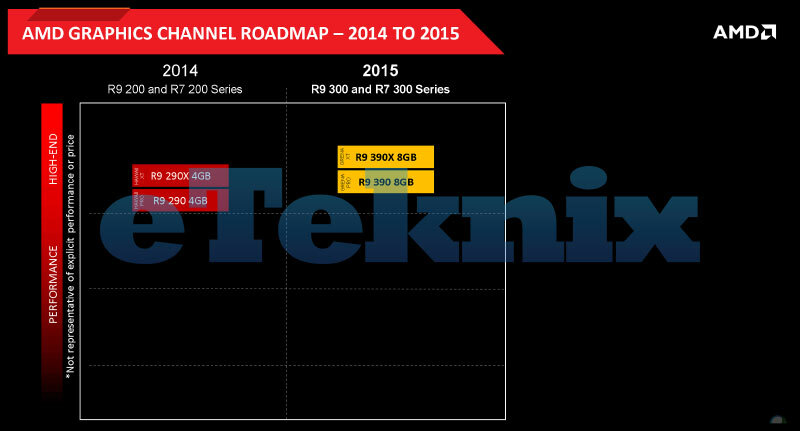 Moving forward to Radeon R9 390 series, here we have rebranded Radeon R9 290 series with slightly faster clocks. 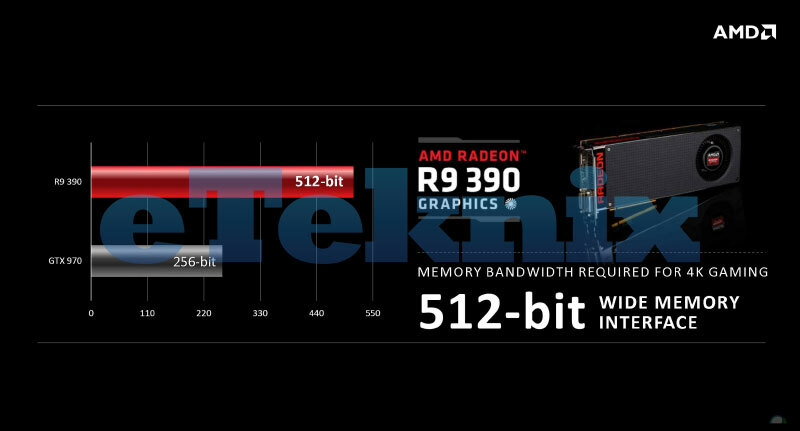 Both R9 390X and R9 390 are equipped with 8GB memory. 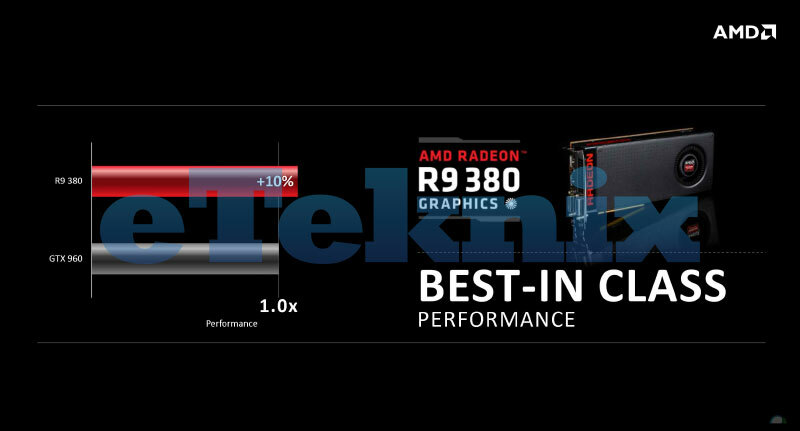 What you need to know is that Radeon R9 390 series will no longer occupy the high-end segment in Radeon lineup. 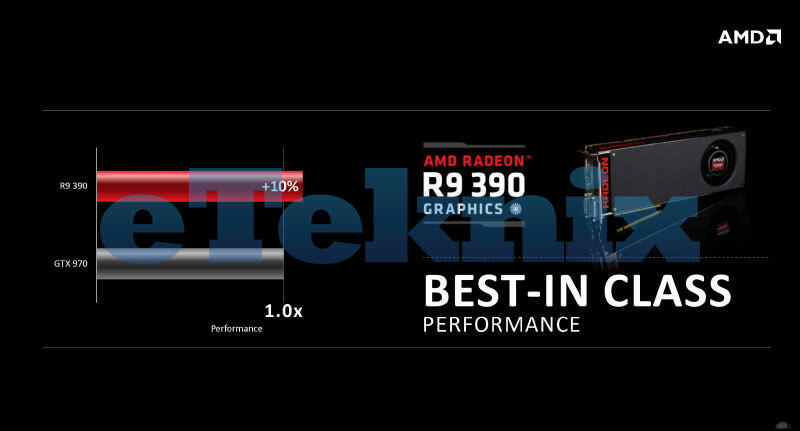 The high-end or enthusiast segment if you prefer, is now the home for Fiji-based products. 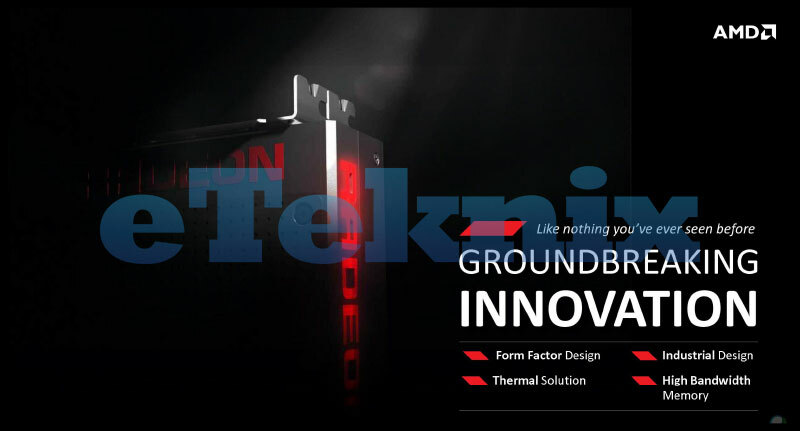 Radeon R9 390X and radeon R9 390 are based on Grenada GPU, which is the new codename for Hawaii silicon. 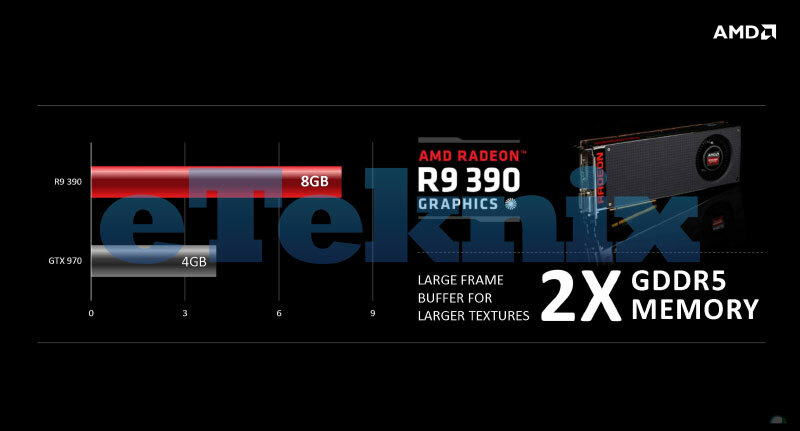 The R9 390X has 2816 Stream Cores while R9 390 comes with 2560 unified cores. 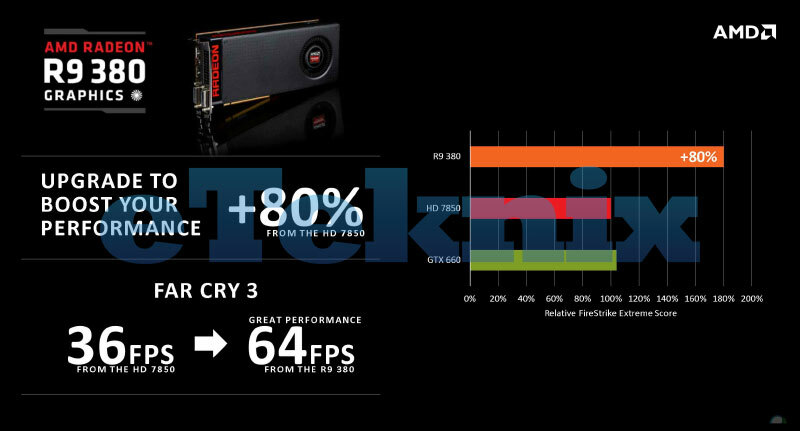 AMD’s Radeon R9 380 is based on Antigua GPU, which is more widely known as Tonga. 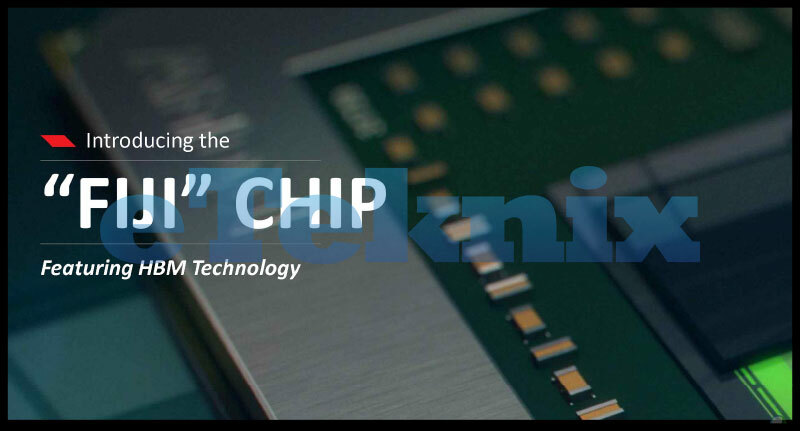 This is not the full chip that is being offered with some Macs. 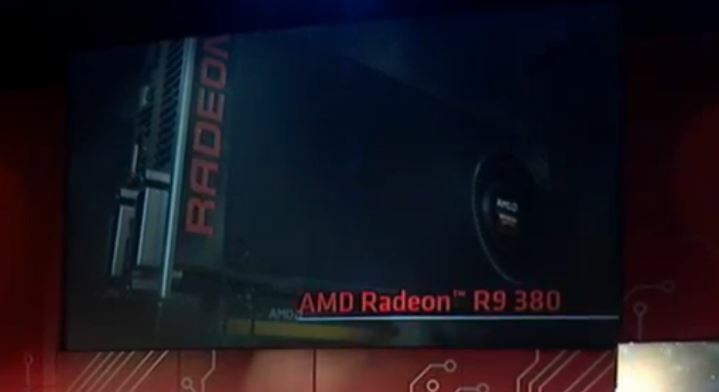 The R9 380 has 1792 Stream Cores and up to 4GB of memory. 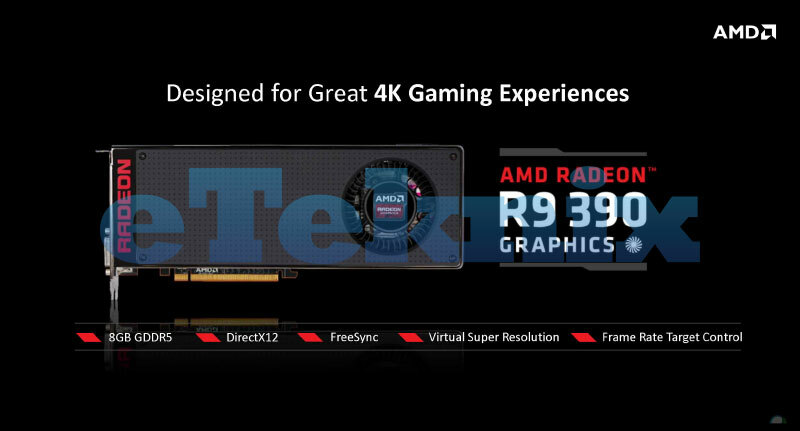 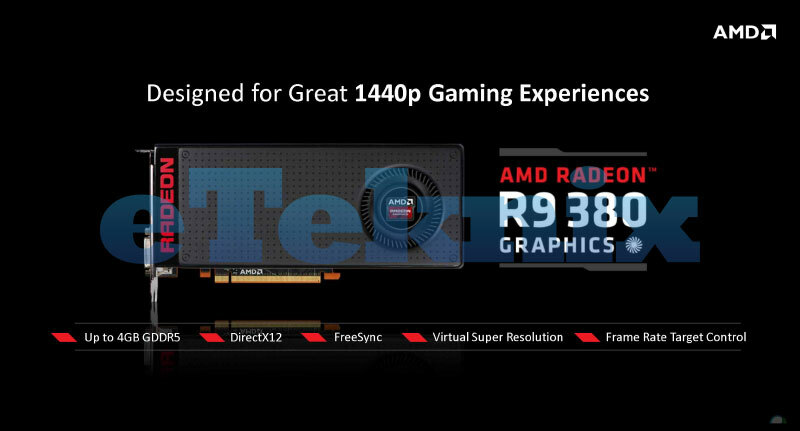 We expect to see R9 380X with full Antigua GPU later. 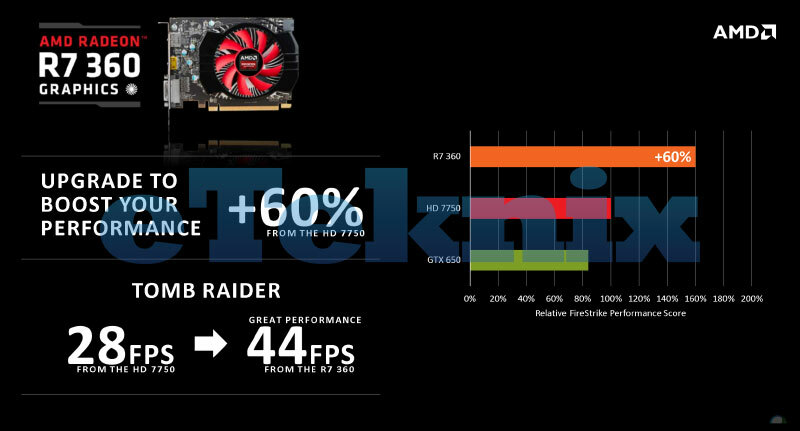 Radeon R7 370 (note the 7) is based on Trinidad GPU. 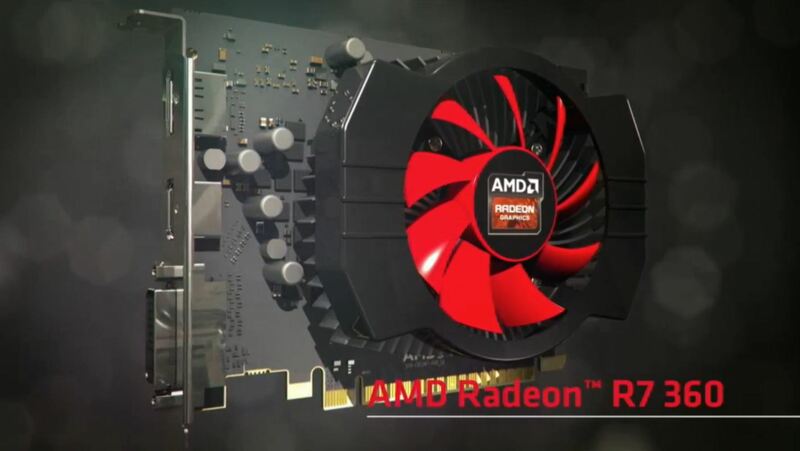 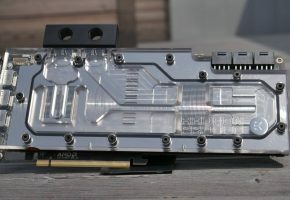 Trinidad is the oldest GPU in AMD Radeon 300 series. 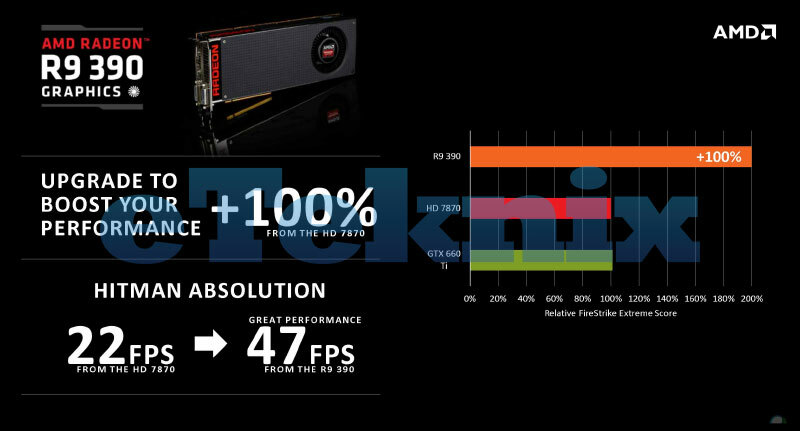 It was first used with Radeon HD 7800 series as Pitcairn. 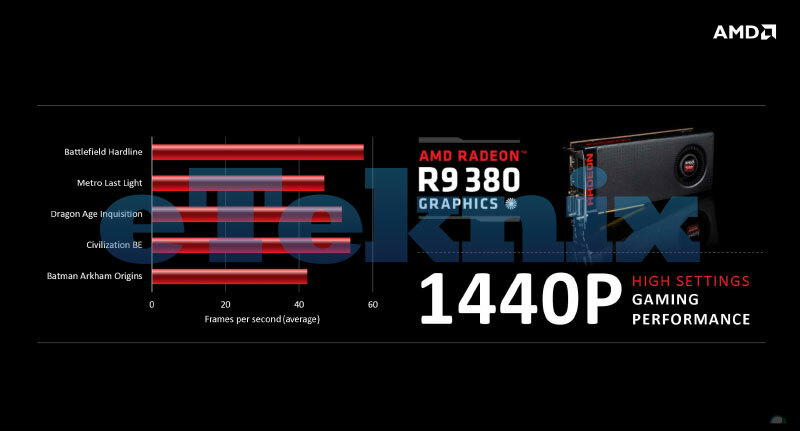 While Radeon R9 270 and R9 270X both featured full 1280 Stream Cores, the R7 370 only comes with 1024 unified cores. Radeon R7 370 will be offered with up to 4GB of GDDR5 memory. 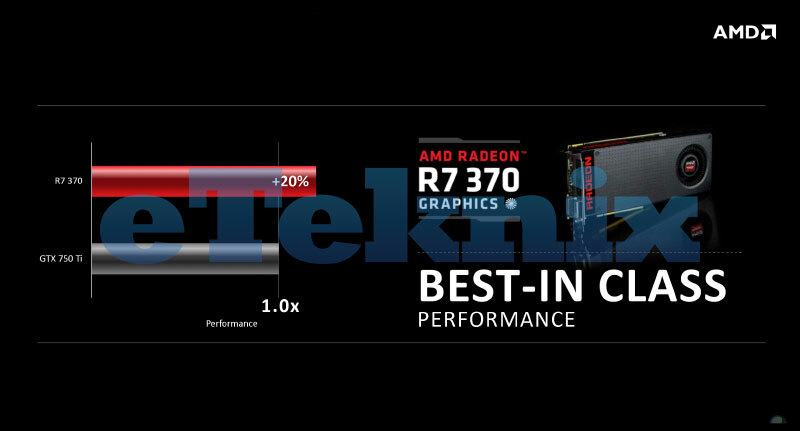 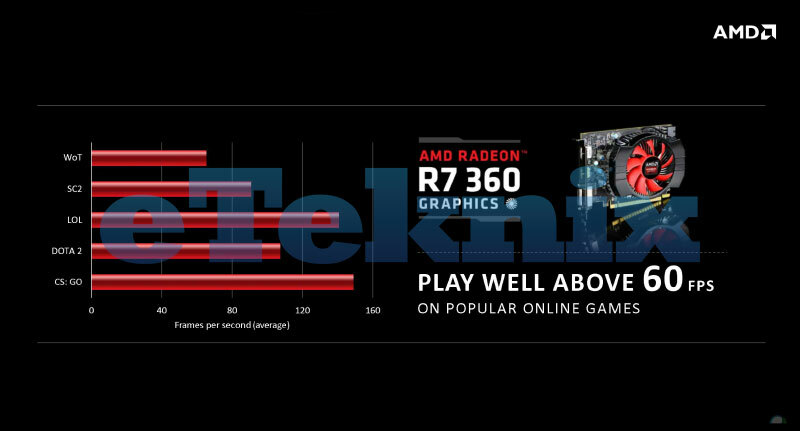 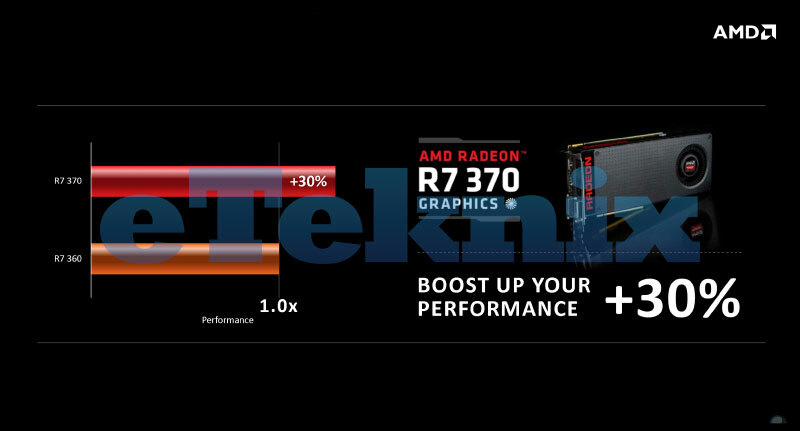 The R7 360 is the slowest Radeon 300 graphics card it that is available via retail channel. 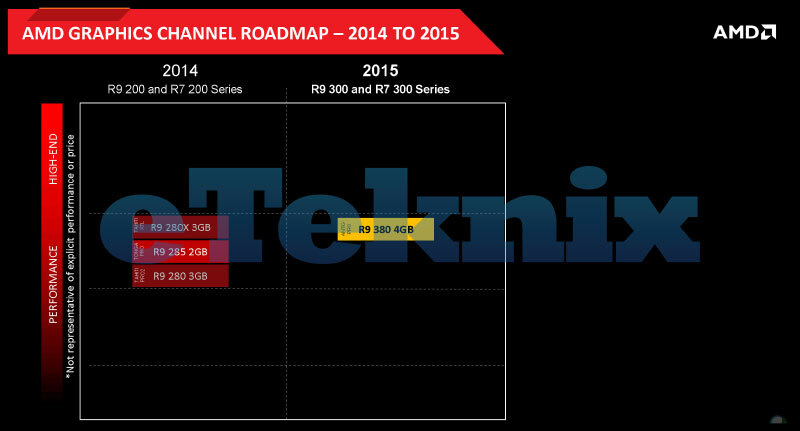 Of course there are even slower parts available for OEMs, but you can’t buy them (yet). 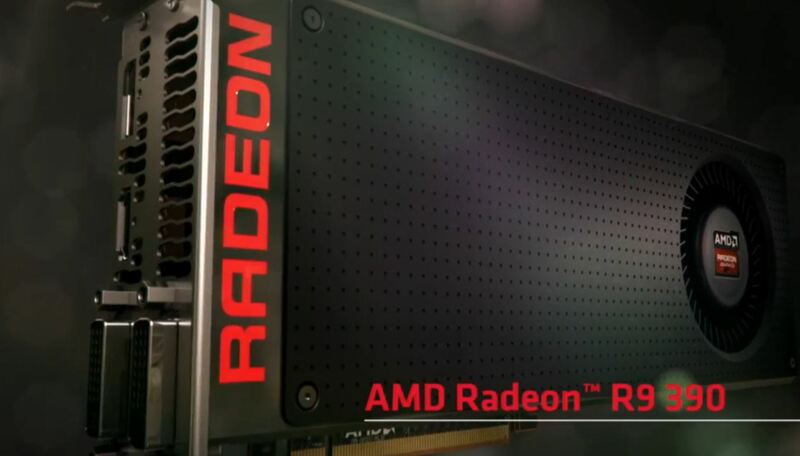 Radeon R7 360 has Tobago GPU (Bonaire), which is not the full fat configuration. 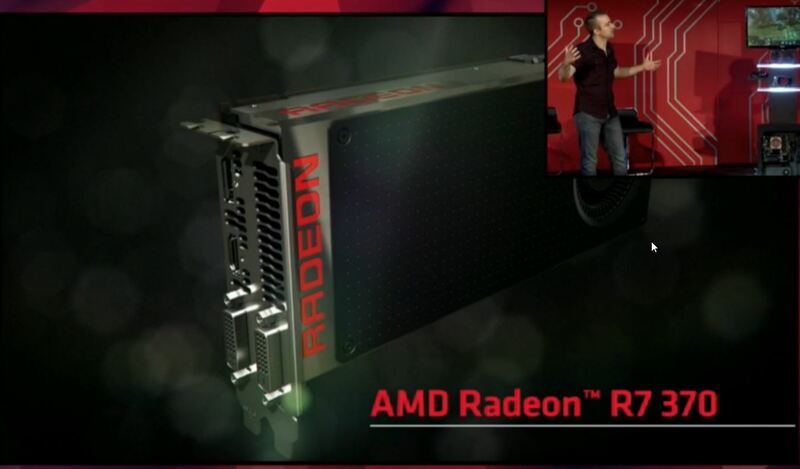 The R7 360 has 768 Stream cores and it will be offered with 2GB memory.